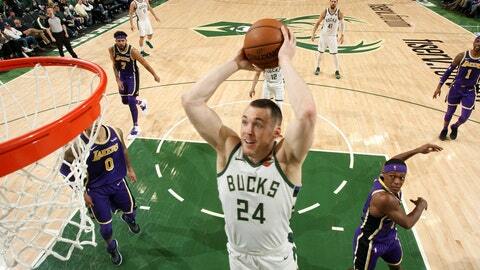 Tuesday, March 19: Bucks guard Pat Connaughton skies for the dunk against the Los Angeles Lakers. 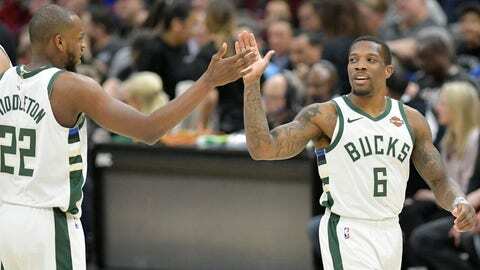 Wednesday, March 20: Milwaukee Bucks forward Khris Middleton and guard Eric Bledsoe celebrate a bucket against the Cleveland Cavaliers. 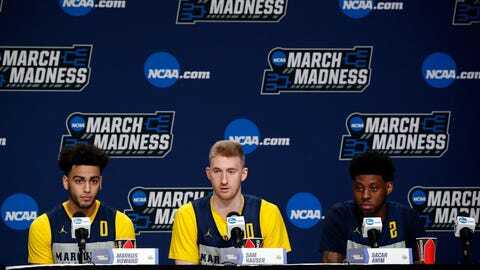 Wednesday, March 20: Marquette's Markus Howard, Sam Hauser and Sacar Anim talk with the media before practice in the first round of the 2019 NCAA Tournament. Thursday, March 21: Badgers' Ethan Happ, Khalil Iverson and D'Mitrik Trice address the media in a press conference during practice before the first round of the NCAA tournament. 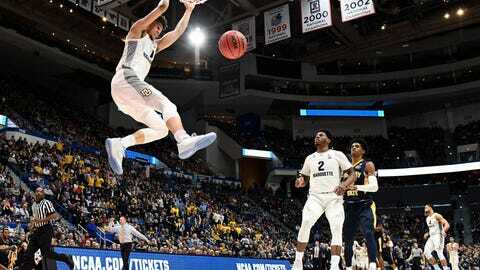 Thursday, March 21: Marquette forward Brendan Bailey dunks and scores against Murray State in the first round of the NCAA tournament. 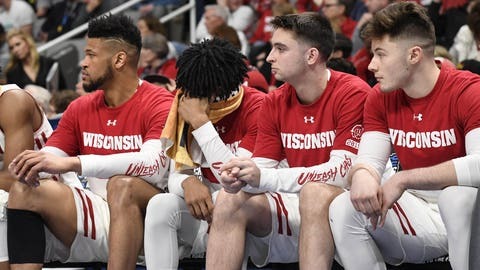 Friday, March 22: Wisconsin Badgers players look on in the closing minutes of their 72-54 loss to Oregon in the first round of the NCAA tournament. 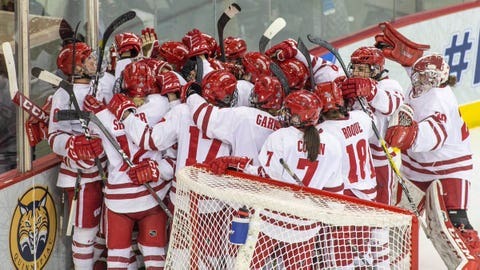 Friday, March 22: The Wisconsin Badgers women’s hockey team celebrates their 5-0 win over Clarkson to advance to the national championship. 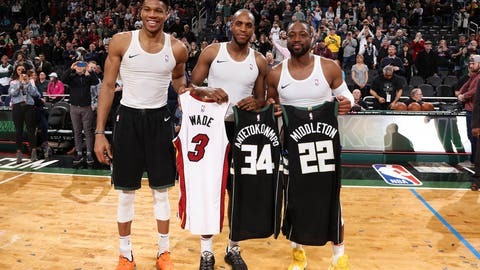 Friday, March 22: Milwaukee Bucks stars Giannis Antetokounmpo and Khris Middleton exchange jerseys with former Marquette guard Dwyane Wade at Fiserv Forum.